2-Year-Old White Cheddar and Non-GMO Project Verified Medium White Cheddar cheese last week at the 90th Annual British Empire Cheese Show held in Toronto, Ontario. The company also took second place with its Mild Cheddar and third place with its Marble Cheddar. 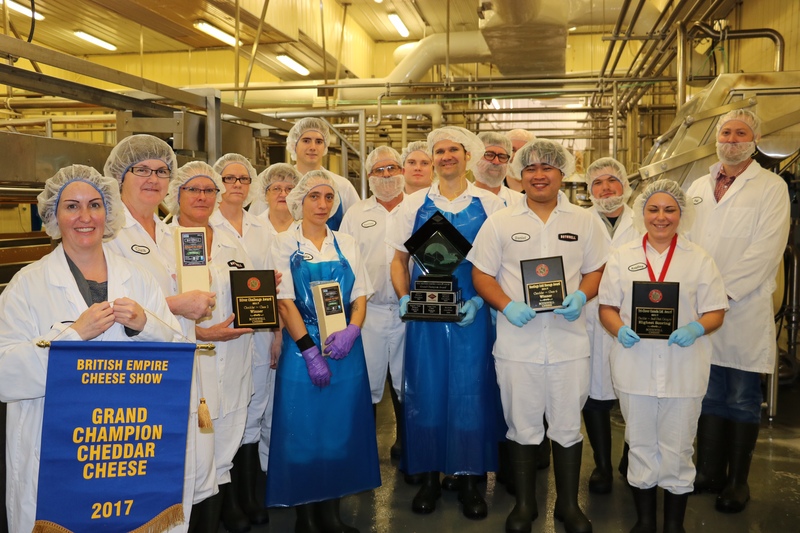 “To compete with the best cheese producers in Canada and be recognized is testament to our team’s dedication to quality and something as afamily we can all be proud of,” says Kevin Thomson, President, Bothwell Cheese. In December 2017, Bothwell Cheese will launch its now award-winning Non-GMO Project Verified Medium White Cheddar that was made with milk from dairy cows that are fed non-GMO crops. Started in New Bothwell, Manitoba in 1936 by a group of local dairy farmers, Bothwell Cheese has grown steadily over the last 81 years from a small dairy cooperative to one of Canada’s largest independently owned cheese manufacturers. Bothwell Cheese prides itself on providing Canadians with premium cheese made with all-natural ingredients, and 100 percent pure Canadian milk. The Central Ontario Cheesemaker Association was incorporated as a non-profit organization on August 29, 1928. The Association was founded to provide an opportunity for Cheese makers to share knowledge and techniques, in a foundling Canadian industry. The Association established the British Empire Cheese Show, which gave Cheese makers the opportunity to compete with others around the British Empire. For more information visit www.cocma.ca. Congratulations to the dedicated and hard working New Bothwell Cheese team. We enjoy your efforts with every bite. I’m proud of your achievement & team effort. Great Cheddar.